Why Go on a Meditation Retreat? Before I went on my first retreat, I had practiced yoga and meditation on and off for a couple years. That period was sort of like the courting phase of a new relationship. I was trying it out—practicing once or twice a week, reading some books, engaging with others who did the practices, and seeing what happened. Needless to say, I became convinced that there was something really powerful for me in this practice. I decided to “go for it,” and signed up for a donation-based 10 day Vipassana Meditation retreat that I had heard about through word of mouth. It was a profound dive inwards, and even though I still spent more time thinking in a sitting posture than actually meditating, there were enough strings of awareness to take me a level deeper than I’d ever been. I learned things about my patterns of thinking, emoting and identification that I had never before seen. When I returned back home, I noticed that in my daily interactions, I was reliably less reactive and more capable of actually living my deeper truth—like being kind and patient with technical support people. In other words, my 1st retreat brought me into new layers of inner freedom that actually stuck with me. Even though I had been dabbling in meditation for a couple years, I really don’t feel like my meditation practice began until that retreat. It was like the difference between casually dating someone for a couple years vs. taking a vacation together where you’re around each other 24/7, unfolding all sorts of layers of intimacy and bonding that only come through that depth of togetherness. Bringing all this together, if you’re serious about self-understanding, self-growth, and living more intentionally & lovingly, going on a retreat and deepening your meditation practice is easily one of the most powerful things you can do. 1) Cost. Some retreats are very expensive, like $1,500 for a week, while others are low cost or completely donation based. There are some other differences, but ultimately 90% of what you’re getting on a meditation retreat is totally independent of location, teachings, conditions and so on—it’s all about diving inwards, so don’t fret too much about being able to afford or not afford the right place. Instead, figure out what teachers or teachings you’re drawn to, and then see what fits your budget. 2) Location. Are you willing to fly around the world? Or how about just across the country? For some people, it’s totally worth it to find the right fit. For others, it’s mostly just the opportunity to dive inwards. Both are equally valid. Chances are there’s some center near you that won’t require a plane ride. If it’s not on the list below, google your location and “insight meditation” together, and see where the rabbit hole leads you. 3) Duration. I generally advise taking at least 7 full days to go on retreat. If you’ve been on a few 7-14 day retreats, it can be very powerful to jump to a 1-3 month retreat. Of course, you’ll still benefit even if you can only do a weekend, but the more time you have, the deeper you can go. The longer your retreat, the more it makes sense to go to Asia (because of the cost and how most the centers there are set up for longer term practice). 4) Silence. Is the retreat held in “noble silence” or is it more of a social thing? Both have their benefits, but if you’re interested in diving deeper and finding inner freedom, you’ll find silence to be an enormous benefit. 5) Teachers. The more intense the retreat, the more important it is to have a good teacher. I generally look for someone who is connected with a tradition, and isn’t a self-appointed guru with no teacher or lineage to cross reference. Also, while it’s not always possible, it’s great if they’re local or there’s some way you can stay in contact with them once the retreat is over. On the retreat itself, it’s nice when you can actually get individual attention from the teacher, even if that’s just a group interview every couple days. Until you have a really established practice, I’d stay away from retreats where there’s not actual contact with the teacher—like ones with “famous” teachers that fit 500 people into a big room. Also, before going on retreat, it can really help to familiarize yourself with that teacher’s approach. Perhaps read one of their books (if they have one). See if you can find a talk by them or some articles online. Find out if their message speaks to you. This is generally less important if they are strongly connected to a particular tradition, and more important if they are independent. 6) Teachings. There’s numerous different meditative traditions that offer retreats. Early on, I explored retreats in Yoga, Zen and Vipassana. It can be a helpful part of the journey to try different things out, but eventually, it’s really helpful to find one and go deeper into that. Similar to what I said in “teachers,” just look for something about a certain tradition that resonates with you and follow your intuition! Where to Go on a Meditation Retreat in The United States? Note: I’ve mostly practiced in the Vipassana / Mindfulness / Insight Meditation tradition, so while there are many different traditions out there, I’ll only be speaking from what I know. 1) Cloud Mountain Retreat Center. Located an hour from Portland, this center is a little smaller and more affordable than some other big retreats centers (like Spirit Rock or IMS), but still offers the highest quality teaching around. If you’re in the Pacific Northwest, this is easily my top recommendation. 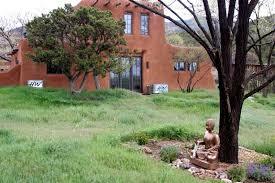 2) Insight Meditation Center. Located near San Francisco, they offer donation-based retreats with very high quality instruction and good supporting conditions—added together, it’s one of my top recommendations. The only challenge is getting into a retreat, as they are lottery based—I applied for one and was #54 on the waitlist! 3) Goenka Courses. These are the infamous donation-based 10 day Vipassana meditation courses to be found all around the world—there’s one an hour from Portland. You will see nightly talks of SN Goenka on the TV screen, and have the opportunity for brief interviews with “assistant teachers.” The instructions you receive are beginner friendly and make it very explicit what you are doing; although, the quality of the “assistant teachers” isn’t the greatest. Goenka also presents his meditative system in a somewhat rigid and dogmatic way. If you can hold all that lightly, you’ll find here an authentic meditation experience, held in silence with a solid technique and great evening talks. Did I mention it’s donation based and there are centers in so many places that you usually are just a car ride away? Add all that together and this is the most common 1st retreat I recommend to the general population. 4) Spirit Rock Meditation Center & Insight Meditation Society. Apart from Spirit Rock being near San Francisco and IMS being near Boston, these two centers have lots in common. They share many of the same teachers and have similar orientations. They also cost a lot of money. If you can afford it, these are two of the best places to do a retreat. An offshoot of IMS is the Forest Refuge, also located in Massachusetts and set up for longer term practice. Bhavana Society in Virginia, led by Bhante Gunaratana, who wrote the best selling, “Mindfulness in Plain English.” Abhayagiri Buddhist Monastery in northern California, led by Ajahn Pasanno, who I’ve practiced with several times and has always struck me with his combination of groundedness and jovialness. Metta Forest Monastery in Southern California, led by Thanissaro Bhikkhu, one of the foremost scholar-practitioners of our day. I’ve also heard good things about the Temple Forest Monastery in New England. 6) There’s many great teachers not connected with a particular center that do retreats. For those analytically minded, you’ll probably love the retreats by Shinzen Young, located in Arizona, California and Ontario. Steve Armstrong is one of the principle students of my teacher, and does excellent retreats around the country. 7) Here’s some various meditation centers around the country, all with great instruction at varying costs: Vallecitos Mountain Retreat Center in New Mexico, Twin Cities Vipassana Collective near Minneapolis, and Dharma Zephyr in Nevada. Also, the excellent teacher, Santikaro, runs Kevala Park in Southwestern Wisconsin, which doesn’t offer curated retreats, but is well set-up for independent practice. 8) If you’re interested in Zen Buddhism, you might check out the Tassajara Zen Mountain Center in Central California, the Great Vow Zen Monastery near Portland or, again, just google “zen buddhism” and your location, and you’ll likely find something. Also, I spent several months living at the Upaya Zen Center in Santa Fe, and the retreats are good, though I’d mostly recommend it if you’re interested in longer term living in a spiritual/meditative community. Where to Go on a Meditation Retreat in Southeast Asia? Note: Asia in general and Myanmar specifically is not for the faint of heart—it’s noisy, the food isn’t so great, the weather is intense, mosquitos can be quite a bother and it’s far away. That being said, if you can brave it, you will be rewarded with high quality instruction at a very low cost (all these centers are donation based). There’s also something really special about being not just in a retreat center, but in a country that is highly supportive of meditation. I usually recommend initially going for two weeks to three months. 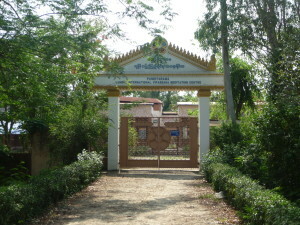 1) Shwe Oo Min Meditation Center. This is where I’ve done the core of my training—I couldn’t recommend it highly enough. Though, make sure to go when Sayadaw U Tejaniya is there (usually Dec – Feb, and July – Oct), and do yourself a favor by reading at least one of his books beforehand. If you stay longer than three months, you can stay at some of his affiliated centers for more solitary practice, like Dhamma Vibhajja down the block or Shwe Oo Min Kalaw. 2) I went to many other places in Myanmar, although I can’t wholeheartedly recommend any of them apart from Shwe Oo Min—you can do Goenka courses elsewhere, you can find Mahasi centers with higher quality instruction (like in Nepal), and you can find jhana/samadhi focused centers that aren’t so noisy and overpopulated (like in Sri Lanka). Basically, if you’re going to Myanmar, go to Shwe Oo Min! 3) Okay, so you are stuck in Myanmar, you have an established meditation practice, it’s the time of year that U Tejaniya isn’t there and you want to know where to go for solitary practice—I’ve been there! Otherwise, you could do what I did—take a bus to Sagaing, and find your way to Parakamma East, where the abbot speaks very broken English and may let you stay in their cave! The first two options have actual group meditation retreats, where a specific method is offered, and are excellent for people without an established practice (and also those who do!). 1) Wat Suan Mokkh. On the 1st of each month, they lead a 10 day meditation retreat. You are welcome to stay the rest of the month and do self-practice. This center was founded in 1989 by Ajahn Buddhadasa, one of the foremost teachers of the 20th Century (who is now deceased). I haven’t actually been here, so not personally sure of the quality of teachings, or how it is nowadays, but its reputation is pristine. I don’t hesitate to give it a high recommendation. 2) Khao Tham. 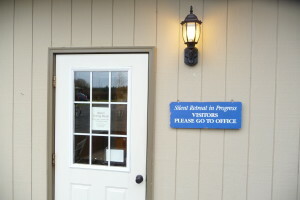 This center offers donation-based English Language 10 day retreats every month. I don’t personally know too much about this center, but a dear dharma friend gave their former abbot a high recommendation, and everything I read on the website suggests to me it’s for real. I don’t hesitate to give it my thumbs up. 3) Wat Tam Doi Tohn. As of 2013, they offered monthly 5 day meditation retreats and also allowed meditators to stay on for independent practice (not sure what the situation is nowadays). I found the teacher very inspiring and radiant, though he doesn’t speak English. During a retreat, there is a translator and you will receive group interviews, but if you’re there at other times, you’re likely on your own. The conditions are more than sufficient, and there’s a couple sweet caves to meditate in. 4) Wat Boonyawad. This is the home of Ajahn Dtun, who is one of the most respected meditation masters alive. I’ve read several of his books, have seen him live in California, and highly recommend his teachings (assuming you can stomach very traditional buddhism). I’ve never actually been to this center, but from what I understand the conditions are well set-up for serious meditation. There is a limit on how long you can stay—not sure if nowadays it’s 15 or 30 days. 5) Wat Pah Nanachat. This is probably the most famous & well-respected Thai Monastery that is readily accessible to Westerners. It was originally started by Ajahn Chah, one of the pre-eminent meditation masters of the past 100 years, and was created specifically for Westerners. There will be plenty of English spoken, and many other Western monastics and laypeople will be present. I’ve never been here, though from what I understand, it’s a little on the social side, but also is rooted in very deep practice, and gives a good taste of Thai monastic life. You really can’t go wrong with a visit here. 6) Finally, for some additional courses in the Mahasi-style, try the Doi Suthep Insight Meditation Center, or Wat Ram Poeng. I believe both of those have pretty intense “beginner’s” courses that are 21 & 26 days long. There are of course other options, and you can always do a 10 day Goenka course, but the above options should be plenty. 1) Sasanarakkha Buddhist Sanctuary. All of the teachers who lead formal retreats here are of the highest quality — Ayasma Kumara, Patrick Kearney, Ajahn Sucitto and Ayasma Aggacitta are all very deeply practiced and realized teachers, who lead retreats accessible to beginners and those with decades of practice. Also, this is a really great place for self-practice. The conditions are pretty solid, and not too many people come. You’ll have lots of quiet. And finally, if you don’t have a very established practice, there’s a resident nun who I greatly respect that will give you a roughly 30 minute personal interview everyday, and teaches in the style of Sayadaw U Tejaniya. 1) Lumbini Panditarama. This is one of the best Mahasi-style meditation centers on the globe for longer practice. There are two teachers; both speak perfect English and go much deeper than rote instructions (which is far too common at Mahasi centers in Asia). You will have your own private hut with a bathroom, and the food is pretty solid. You’ll get private interviews at least every other day, if not every day. There’s lot of talking around Asian meditation centers, but this one is refreshingly held in noble silence. 1) Nissarana Vanaya. I haven’t been here but have received high recommendations from trusted sources. The teacher, food, solitude and general conditions all seem high. 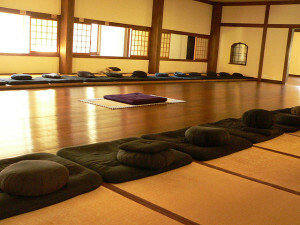 They offer both meditation retreats and self-directed practice with daily teacher interviews. You can stay up to three months. The style of practice is traditional Mahasi method. 2) Na Uyana Aranya. I also haven’t been here, but it’s supposed to be a very good jhana/samadhi focused center. There’s lots of quiet and solitude, good food and quality instruction. A proper forest monastery. You can stay as long as you like. Feel free to leave any questions in the comments, or if you have some centers to add, I invite you to list them as well!